Drunkard's Path features SkyLights*, a technology that uses the precision of your embroidery machine to eliminate templates and curved piecing. Totally pieced in the hoop and quilted in the hoop. Drunkard's Path features SkyLights*, a technology that uses the precision of your embroidery machine to eliminate tracing templates and sewing complex curves. Hoop size constraints have made for interesting opportunities when it comes toÂ Drunkard's Path. It takes four finished blocks, as shown in the second image on the top left, to complete a full Drunkard's Path Block. While this set includes machine instructions for 4" (100 mm), 5" (130 mm), and 8" (200 mm) hoops - the completed Drunkard's Path blocks will finish at: 8", 10", and 16" (twice as large as the hoop size). 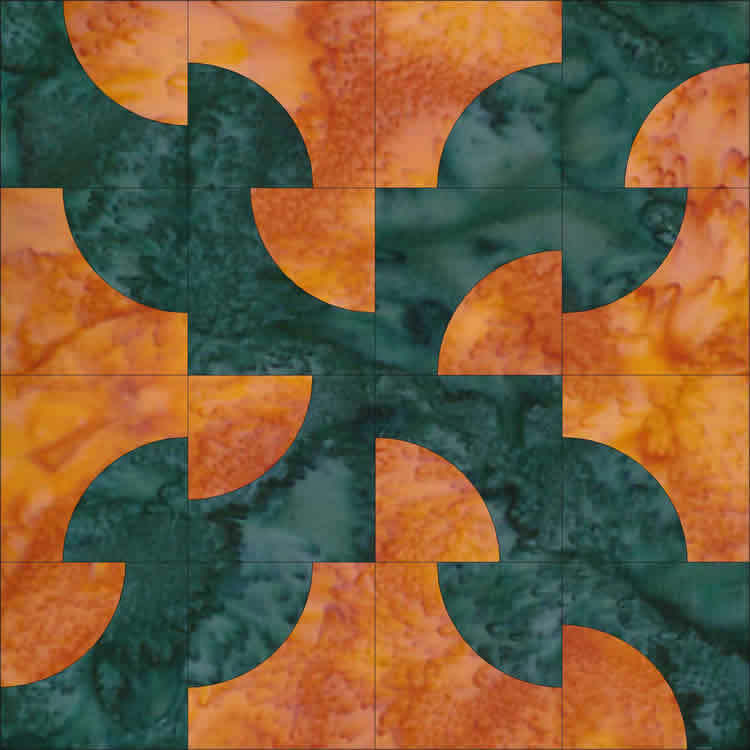 Interchangeable Quilt only design for plain or unpieced 4, 5 and 8 inch blocks.